In its rawest form, Swahilipot is a Tech and Art hub offering a favorable environment for youth to harness provided resources to innovate and thrive in a technology and information space. The Pot, as most call it, has also become an active supporter of artistic talent like drama, poetry, narratives, dance, and music while hosting several of such arts initiatives, the latest of which was The Pot Culture event. The Hub has also played a significant role as an alternative art space adequately accommodating artistic minds and theatrical content as Little Theatre Club is currently under renovation. The beauty of this essentiality is that this space would still hold its own even in the face of multi spaces representing artists. Swahili Pot’s predecessor in the same location, Swahili Box started an almost similar arts initiative, and while the latter moved on to other tech accomplishments, the former has incorporated the talent available and placed art and technology in a way that both are in dynamic conversation with each other. This has in turn produced an enviable pop culture that cannot be ignored when discourses about Swahili culture are held. The Pot Culture is a stepping block for the artists and performers to participate in the larger piece of the cake- Pwani Got Talent, with the winners going forward to show case their talent in this competitive space bringing together more artists from the Kenyan coast. This year’s Pot Culture saw seven participants which included four musical performances, one contemporary expressive dance and two drama performances- one about the changing face of wealth-poverty instigated kin rivalry and the second a nonverbal performance about coming into terms with loss and grief. The latter was by Shadow Theater, an infamous performance collective that employs the use of shadows to express their narrative, performed preferably to an audience shrouded in darkness for better results. The Pot Culture is in itself a thing of wonderment and excitement. It is a form of compelling statement, a bold declaration on the dynamism of culture and how the new can be used to preserve or even erase the old. While on one hand we have the ever definitive conservative Swahili culture with its classical Swahili poetry (which at some point fused very well with taarab music), the leso culture and the various Swahili dialects, we have on this other hand a Swahili (in this case Swahili being more a cultural than an ethno-linguistic term) Pop-culture that is more self-expressive, liberal and merges globally acclaimed trends in their performances. The emergence of this dynamism at Swahilipot Hub and the performances on display however brings up questions about content and the role of the artist in society. As regards content and culture, I couldn’t help but think of coastal artists like Nyota Ndogo and Prince Adio and the Bhangra-Taarab undertones (two elements of Swahili music) in their musical content as I watched the musical talent at Pot culture, some as covers (and one specifically a cocktail of sorts) which largely lacked a link to what we’d consider Swahili culture. Then again, it just might be an accepted trend to use established compositions for competitions such as this as opposed to having original content. The fact, too, that this is an emerging Pop-culture with its own way of doing things would also logically render new meaning to whether a coastal artist needs to have such undertones that link the audience to what they subtilize as Swahili identity, or that the link itself is ambiguous. 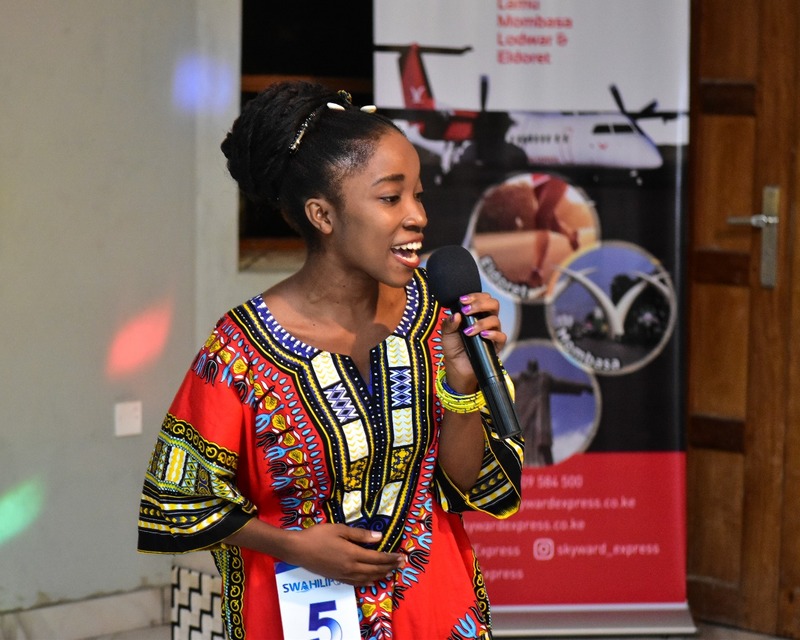 On the same note, the two events- Pot Culture and Pwani Got Talent- have utilized home grown talent by utilizing established talents like Susumila, an artist whose compositions have a strong coastal identity, as mentors. The essential part about this is that his narrative is relatable and many upcoming artists in the coast can look up to him as someone who has thrived and risen from the same artistic space that they also subscribe to. This stance to use talent from within as opposed to seeking mentors from say, Nairobi, will go a long way in building the capacity of local artists. This aspect of original content also begs the question, not only for this event but Swahili literature and artists in general; what’s the role of the artist in society? Is the content we use for our performances and/or writing only for self- expression means or do we seek to change and impact our society through it? Is it something that someone can pick five or ten years down the line and still consider it relevant? Another question that was left on my mind was how much Swahilipot will do for this talented youth and whether they are in a position to push their talent further than just performing to the audience present at the event. Is the absence of a stage in the hall symbolic in any way of how far this talent would go? A stage is what sets the artist and the audience apart, catapulting the artist into the limelight and dais where the audience can see them better, and the very absence of it at the event robbed the performers of much-needed exposure and artistic element. The event however had its emotional part as a parent lauded her son who had performed tremendously well on stage. This brought tears to his eyes, especially considering that the parent had been very critical about her son’s love for theater. The most encouraging thing from this event is that the Pot has in reality become a vibrant space where Swahili Pop-Culture is growing. It is wonderful to have a place where artists can converse and push this agenda further beyond the periphery of bara-pwani politics which have seen the coast become marginalized in more ways than one. It will be interesting to see what comes out of this boiling pot.